– Local Cartage / Pick-up & Delivery with our own trucks. Every port in every country around the world places your cargo through a customs clearance process. 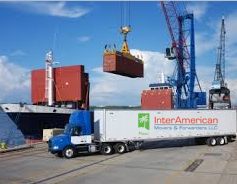 InterAmerican Movers and Forwarders has the experience and a selected network of highly qualified agents around the world to handle your shipments to and from any part of the globe. 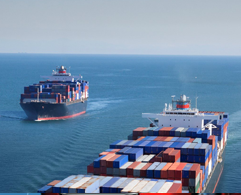 Advising on exporting costs including freight costs, port charges, consular fees, insurance costs, freight handling fees. Advising on the most appropriate mode of cargo transport and making arrangements to pack and load the cargo. Preparing and filing required export documentation. Reserving the necessary cargo space on a vessel, aircraft, train, or truck and preparing BOL or AWB. Making arrangements with overseas customs brokers to ensure that the goods and documents comply with customs regulations and timely release of shipment. Ensuring proper paperwork to get your cargo cleared on a timely manner. Preparing and filing required import documentation. Picking up shipments from Port, either ocean or air.